Having read April's account of her experience in Grenfell Tower, it reinforces how essential it is for first responders to have incredibly high levels of emotional intelligence. Without the ability to regulate their emotional load in the most stressful of scenarios, their ability to effectively respond to a situation of high pressure and consequence would be immensely impeded. April was fresh out of training when she received the call to go to the scene and from her story, none of her more experienced team had ever been prepared for something as catastrophic as what they were greeted with. She talks about the chaos that surrounded the area and how important it was to 'block out as much emotion as you can'. Saying that is a lot easier than doing it, yet as we have seen in a number of incidents recently, the emergency services that are first on the scene need to have clarity of mind in order to select the best course of action. Everyone has their own coping strategies in order to get on with the task in hand, but rarely are those techniques tested in an environment such as the one last week. 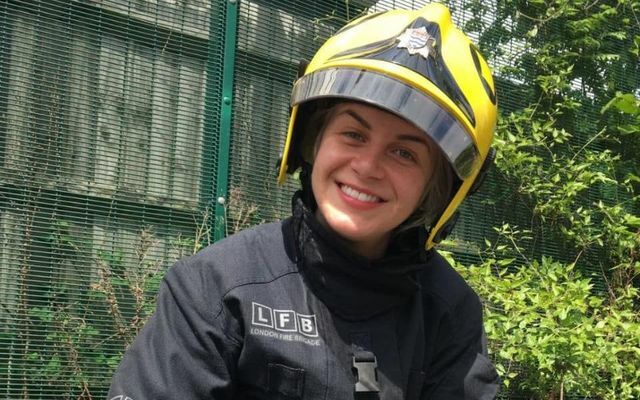 Just five days into the job, 26-year-old April Cachia arrived for her night shift at Shoreditch fire station. Hours after arriving - and having never before battled a fire before - she found herself face to face with one of the most devastating infernos in British history. Miss Cachia, who helped more than 20 residents of the high rise block escape, has told The Daily Telegraph of the harrowing scenes that awaited her at Grenfell Tower. “The smell of smoke, the sound of crackling, the sound of debris hitting the ground, children screaming, people handing you their phones to speak to their loved ones – they’re the things you won’t ever forget,” said Miss Cachia, who had dreamed of being a firefighter since she was a child.